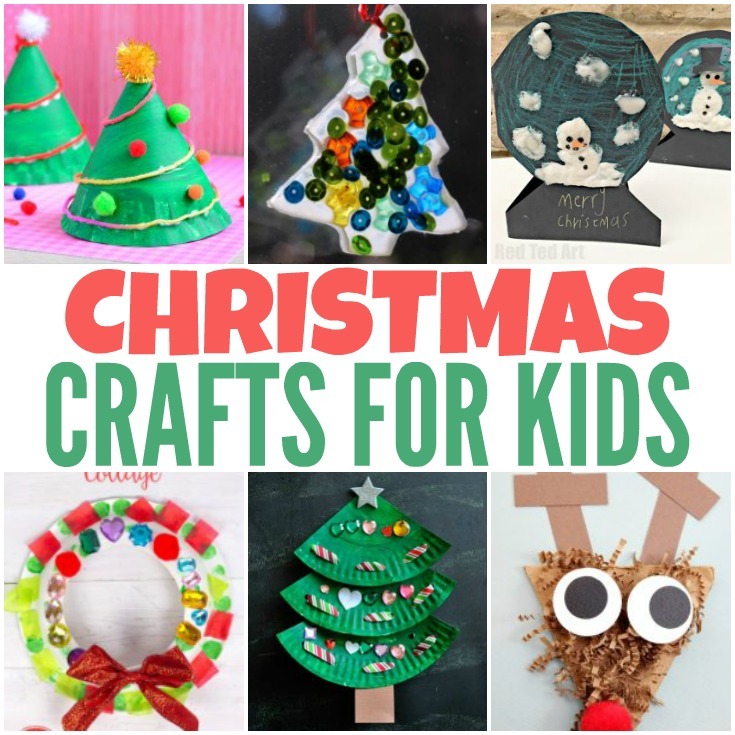 It's time to get crafty as we're sharing many festive Christmas crafts with you today! 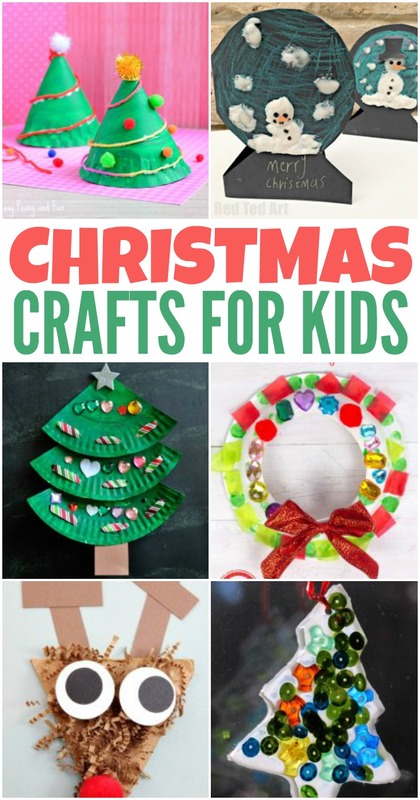 Christmas has to be the most fun holiday to do crafts, both at home and in the classroom. You will find many great ideas and we just know it will be hard to decide on which project to start with. Super easy and quick craft which makes it perfect for the classroom. Frugal too! 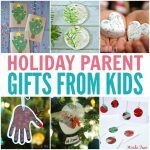 Let the kids make their own (paper) snow globe. Such a fun little project. These make wonderful Christmas cards too. This one will look amazing catching sun on the window. 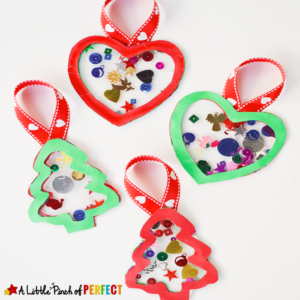 How creative are these ornaments? 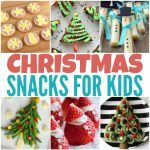 There are just so many ways do decorate them! 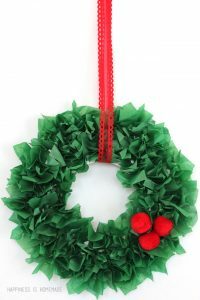 Decorate the room with this easy to make tissue paper Christmas wreath. 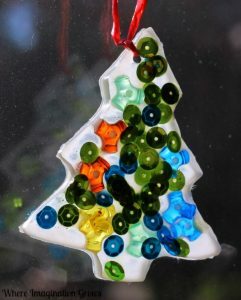 A must on your list of Christmas crafts. 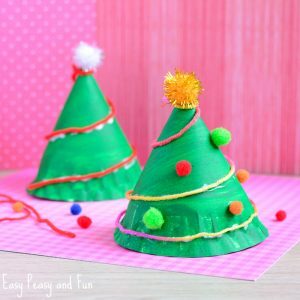 Kids will love making these festive hats and they will absolutely love running around with them on their heads. Perfect for a classroom party. 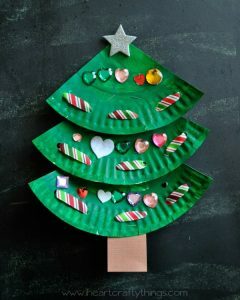 Another wonderful idea for a Christmas paper plate tree craft. We just know kids will love decorating this tree. 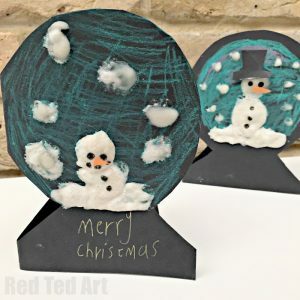 This is a wonderful arty and crafty project for kids to do as it includes lots of stamping. So much fun. 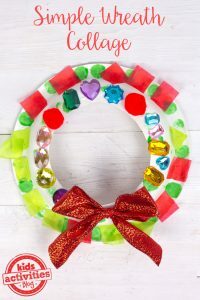 Another great way to make a Christmas wreath, this time with some sparkle and stamping fun. 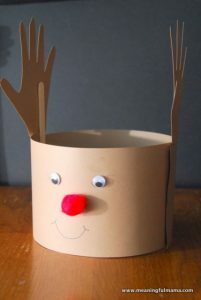 Another festive project that made it to our Christmas craft list is this little fellow. 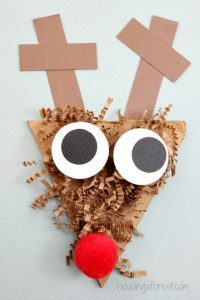 If you have Rudolph fans in your home or in your classroom this shredded paper reindeer craft is a must.